About four months ago, Mark Zuckerberg laid down a decree via Facebook post that sent many businesses into a frenzy. “You’ll see less public content like posts from businesses, brands, and media,” his post stated, signifying changes in Facebook’s values going forward. Previous to this post, Facebook was overall friendly towards brands and businesses extending their reach via the social platform. But the tides have turned at Facebook amid controversy and complaints from users, and if you run a business you may be concerned about your organic reach on the platform going forward. Things look grim. Changes in the Facebook algorithm don’t have to hurt your business. 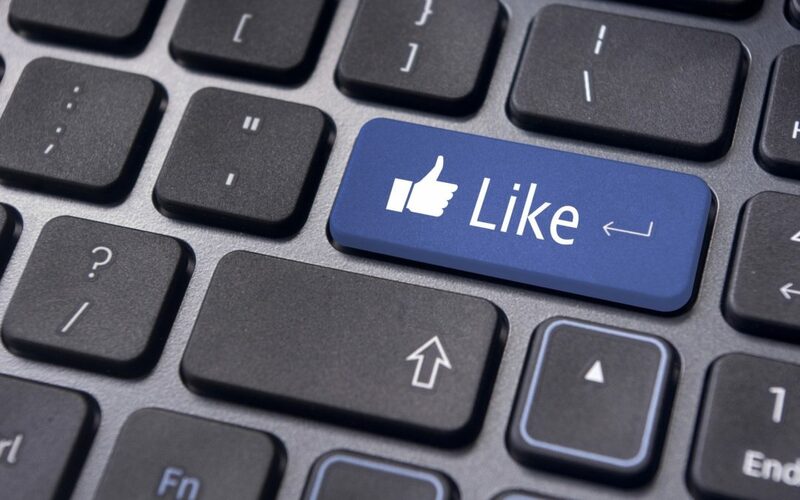 There are many ways to beat the Facebook algorithm and continue to use the social media platform to champion your business and connect with your audience. We’ve broken down ten different ways to help you do just that. If you run a business page, you may have noticed that posts featuring outbound links find much less reach than posts without. It’s common knowledge that Facebook tends to want to keep users on their platform instead of directing them away. If you’re constantly outbound linking in your posts, there’s a strong chance that the FB algorithm will de-emphasize these and they will have a harder time reaching an audience. Especially when it comes to posting videos, never outbound link to a site like YouTube– this is one of Facebook’s biggest competitors for time on the web, and a link there instead of a locally hosted video can greatly lower your prioritization. It isn’t new news, but it’s still important to hear it: most businesses with an internet presence are pivoting to video. Why? Videos are proven to drive higher rates of engagement and promote more interactions across the board. Video is perfect for keeping your audience glued to the page and for starting conversations after the watch. Video content, executed smartly and properly, doesn’t have to be expensive either– and the rewards are plentiful. Facebook wants to promote conversation and engagement on their site, and if you can provide content that does that, you can be rewarded in the new algorithm. Creating polls, asking questions, and stoking discussion among followers are all great ways to encourage engagement and allow users to bring their friends into the discussion. What you must be careful about under the new algorithm is avoiding what is referred to as engagement bait– posts that outright asked to be shared, tagged, and so forth. Avoid this if you don’t want to be severely penalized in your timeline priority. The major shift in the new FB algorithm is a focus on friends and family over that of businesses. This means for word to get out about your business or brand, your best bet is through the advocacy of your own employees, who can share the word of what your business is up to with their own personal networks. Whether you’re a young start-up or local staple, encouraging your team to share posts from your business instantly helps to expand your reach further. Not only that, but Facebook users are sixteen times more likely to engage with content shared by a family or friend than shared by a brand– so you’re encouraging more engagement this way as well. One way businesses are moving around the change in Facebook algorithm is by creating a group for their business as opposed to a page. This means users can essentially ‘opt-in’ to news, posts, and discussions related to the brand. The algorithm for groups is completely different from that of pages and is more controlled on an individual user basis. Having a group can be a great way to make sure your posts are getting sent to directly to your intended audience of fans or followers. If your business page has a wide and broad group of followers, it may be hard to find something that can promote engagement between all of them. One of the best features Facebook offers is the ability to narrow down your post’s audience by interests, geography and more. You can set this kind of restriction on a per post basis. Though it may narrow your reach, it can highly increase your engagement if you can cater better towards a certain audience. The Facebook algorithm highly prioritizes posts that receive engagement from other users. To maximize the engagement your post can receive, you should post during times where the site receives the most traffic: mid-day on weekdays. Weekends tend to be times of poor engagement, with people offline and away from their screens. Speaking of video, Facebook encourages its users to engage using the Facebook Live video tool. The site is still trying to promote the popularity of its live feature, and is, therefore, prioritizing spreading the reach of businesses and brand using the feature. Not only does Facebook like Live, but your audience likely does too: a live video is a great way to promote engagement and interact in real time with your audience. If you want to find long-term success on Facebook you need to learn from what your audience is responding to. If a certain type of post or posts focused on a certain topic receive a heavy amount of engagement– take note! Understanding what your audience is responding to can help you create better content and posts going forward. A combined effort of all the above can help you find increased organic reach under Facebook’s algorithm change. That being said, under the new changes– fostering reach and engagement will be more difficult than it ever has. If you’re really struggling, it may be worth it to put up some money and use Facebook’s ad system. It’s worked for many businesses, including the LuLaRoe Superstar Duo (learn more here) and it can work for you. Coupling organic tactics with Facebook ads is likely to get you the best possible turnout for your business. Changes in the Facebook algorithm don’t have to be the end of your business’ life on the social network. Following the above advice can be a great way to maintain the organic reach of your online presence. Check out our blog for more advice on promoting your business online.